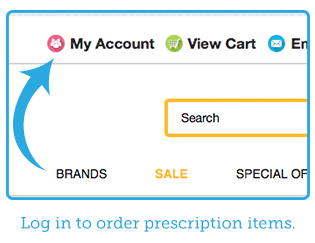 Just follow these simple steps and your pet's prescription will be on its way! Log in to your account, or register for a new account. 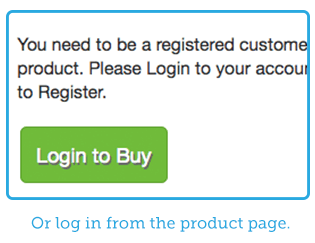 You can do this from the "My Account" link at the top of the website, or from the product page you're on. 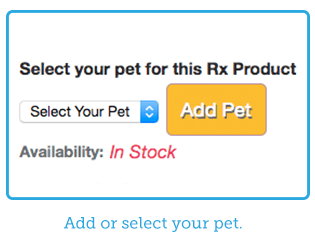 Add your pet by clicking the "Add Pet" button, or select your pet from the drop down if you have already added them. Learn more about adding a pet here. 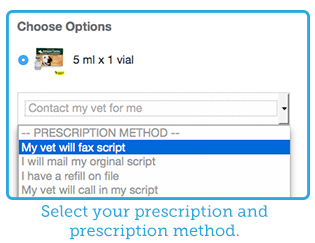 Select your prescription, and the method by which our pharmacy will communicate with your veterinarian. 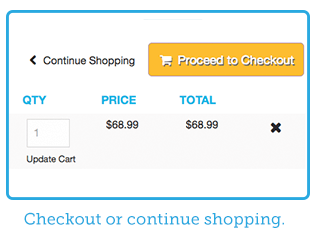 Add the product to your cart and checkout or continue shopping. 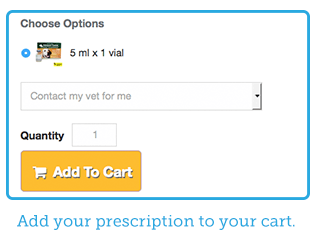 Your prescription will be shipped 24-48 business hours after we receive your pet's prescription, excluding weekends. 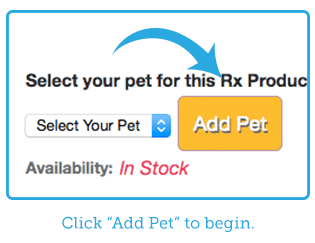 Click the "Add Pet" button to begin. 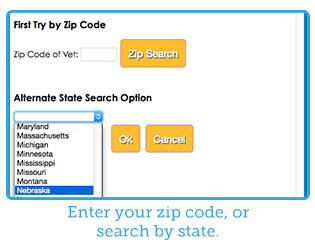 Enter your zip code or search by state. 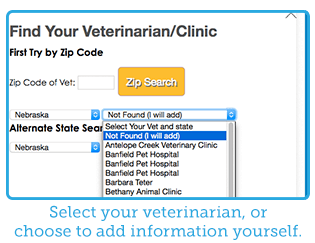 Select your veterinarian from the drop down, or choose to add the information yourself. 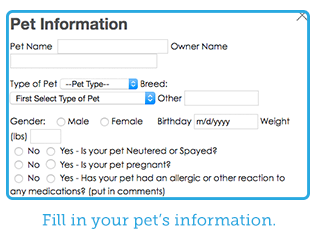 Scroll down to fill in your pet's information. 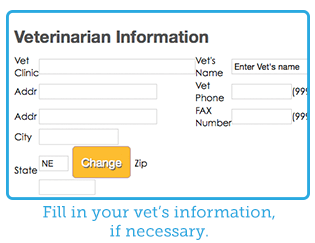 Continue by filling in your veterinarian's information if necessary. 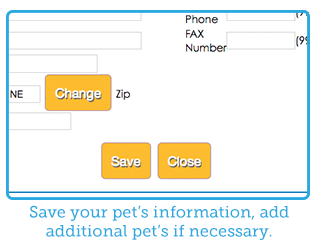 Save your pet's information and add additional pets if necessary.